The Brisbane City Council has unveiled its draft master plan for Kurilpa which provides a framework for transforming more than 25 hectares of land and one kilometre of river frontage to create a world class riverfront destination featuring accommodation, public space, cultural facilities and culinary experiences. The Lord Mayor said extensive community feedback would be sought during the next six weeks until Friday, 3 October. Council would consider the community’s view before confirming a final direction and framework for the master plan in late 2014. Cr Quirk said Kurilpa would see a doubling of the amount of public space for the community and the draft plan included a new large one hectare riverfront park with plans to close and reclaims Riverside Drive for parkland. 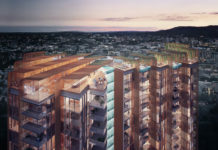 “Kurilpa is Council’s next step in building a vibrant riverside culture in Brisbane and follows on from successful redevelopments of industrial waterfront land at Newstead and Teneriffe,” he said. 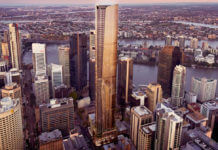 “This draft plan proposes to double the amount of public space in Kurilpa and triple the number of connections to the river, welcoming 11,000 new residents and delivering 8,000 new jobs at the project’s completion. The draft document describes the area as a “century-old industrial precinct, which Brisbane has long outgrown”. 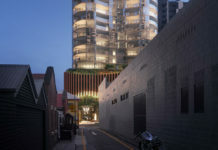 But it also plans to respect the area’s heritage with chimney stacks, industrial relics and the heritage-listed Steward and Lloyd’s factory wall built in 1937 to be retained. Three neighbourhoods are on the plans — a creative hub for cultural and commercial interests plus two residential precincts: an esplanade space with ground floor dining areas and a quieter riverside garden area with boating facilities and fishing spots. A short walk from the CBD, Kurilpa will be a new riverfront destination, a sophisticated inner-city community with a mix of contemporary apartments, state-of-the-art offices and world-class cultural venues. It will be a place to shop, dine, visit and celebrate. A natural extension of the Queensland Cultural Precinct, it will be an incubator of ideas and a powerhouse of creativity. Kurilpa will capture the rhythm and spirit of Brisbane’s outdoor lifestyle, opening up an entire one kilometre of riverfront to the people for play, relaxation and civic events. Showcasing the best in contemporary design, Kurilpa will retain strong links to its rich heritage. Chimney stacks and industrial relics will stand as landmarks to the past. Kurilpa will celebrate the best of our river city. For more information on the draft master plan, visit www.kurilparenewal.com.au. Although I can see benefits in using Kurilpa for non-industrial purposes I am concerned the parklands on the plan are very limited and the heights of proposed development is too high. I would be happier to see a wider parkland extending the Southbank parklands which I use with my grandchildren often.